In this worksheet, students complete two sections. In the first section, they place a check mark next to words that relate to the sense of sound. In the second section, students view items (e.g. a storm) and write down how they think it might sound. 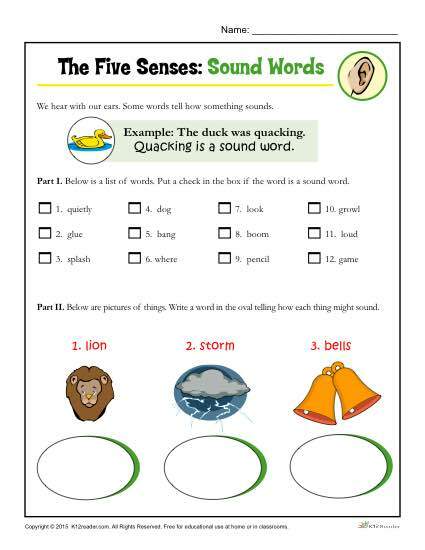 The activity satisifies Common Core Standards for language and is ideal for kindergarten and 1st grade.